ASRock Jupiter features with book size but including great power and fits everywhere. ASRock Jupiter 300 series supports Intel® 8th Gen LGA 1151 Processors. Up to 65W and Six Cores to offer great CPU performance. ASRock Jupiter 300 series adopts dual channel DDR4 SO-DIMMs, supports up to 32GB DDR4-2666MHz high speed memory. 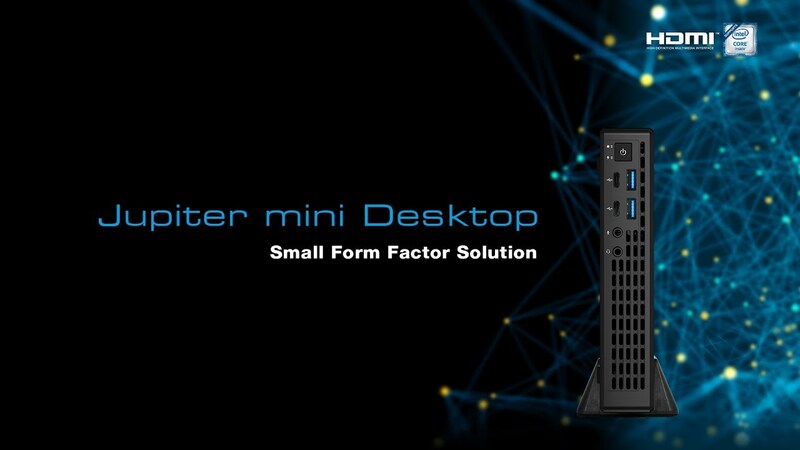 ASRock Jupiter 300 series supports multi display for improved productivity and higher flexibility. For better space planning, ASRock provide flexible placing accessories. Tri-direction VESA mount let you mount Jupiter behind monitor, or try vertical stand to save desk space.